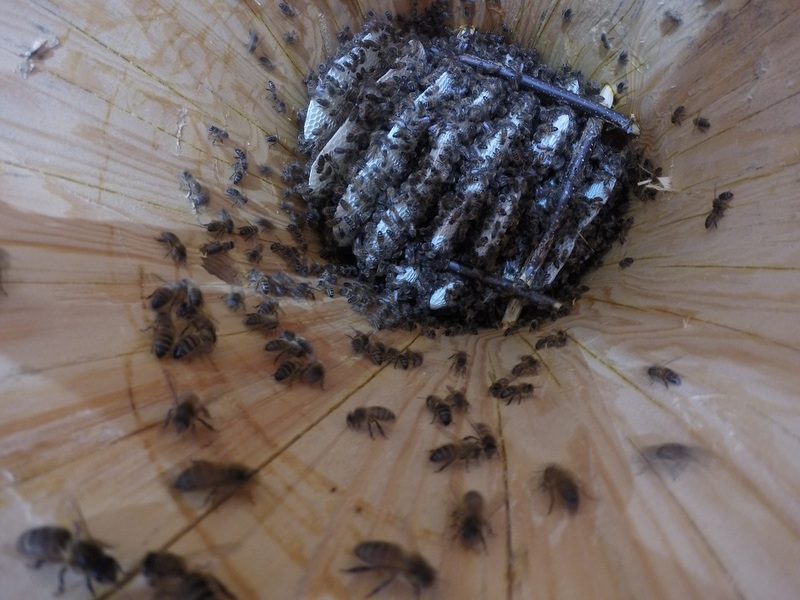 This Post follows the natural growth of a colony inside a log and any other observations. 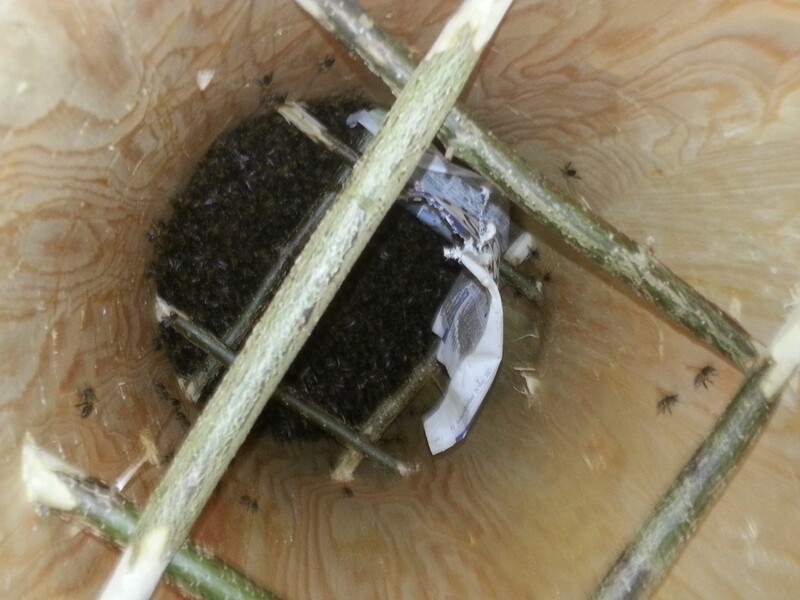 The swarm was a strong local swarm of dark bees. After bringing them back to the log at dusk they rested overnight and the bees were introduced to the log early the next morning. The main part of cluster was put into the top, where it fell on to some newspaper pinned to the top spales. This prevented them all dropping to bottom with the possibility of damaging the queen. 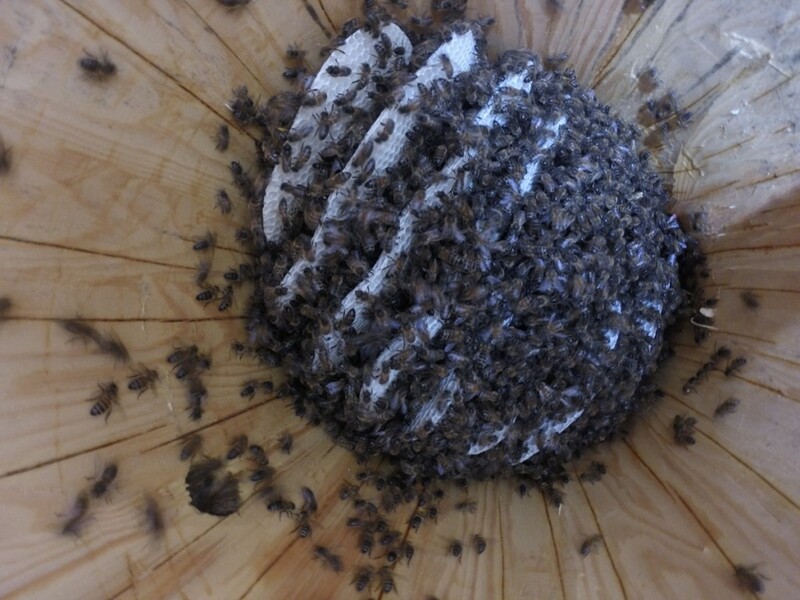 Bees clustered on top boards, and the newspaper has been knawed by the bees. 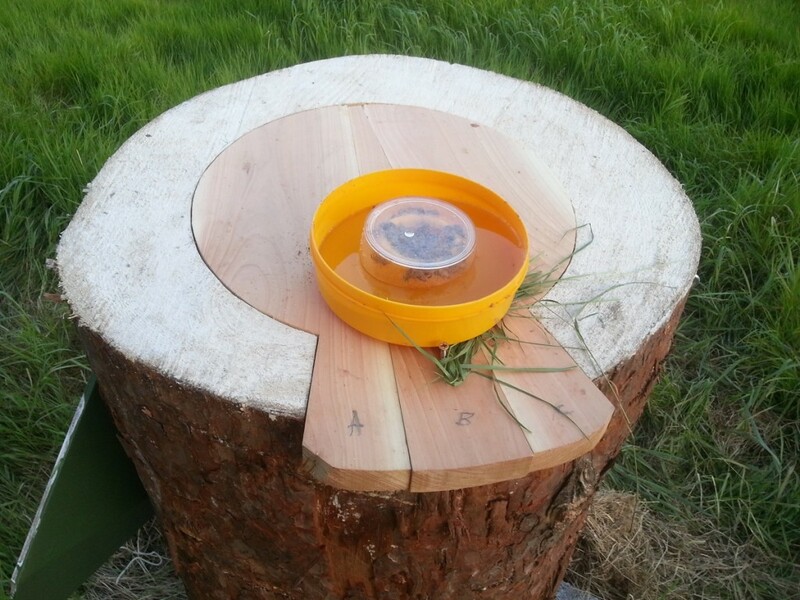 After 3 days,a small nuc feeder was placed on top to give young colony some help during a rainy period. Access through a hole in the middle of the wedge board. Debris on base board. 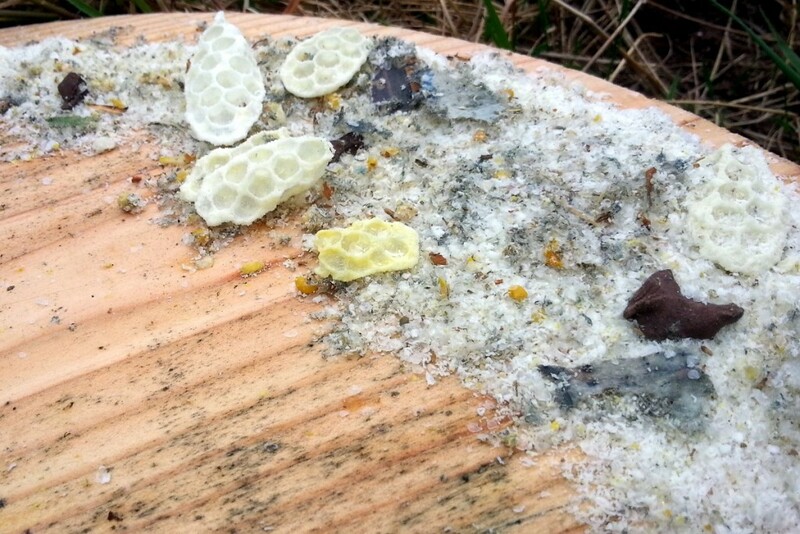 Lots of wax scales, pollen, discarded new bits of comb and newspaper. 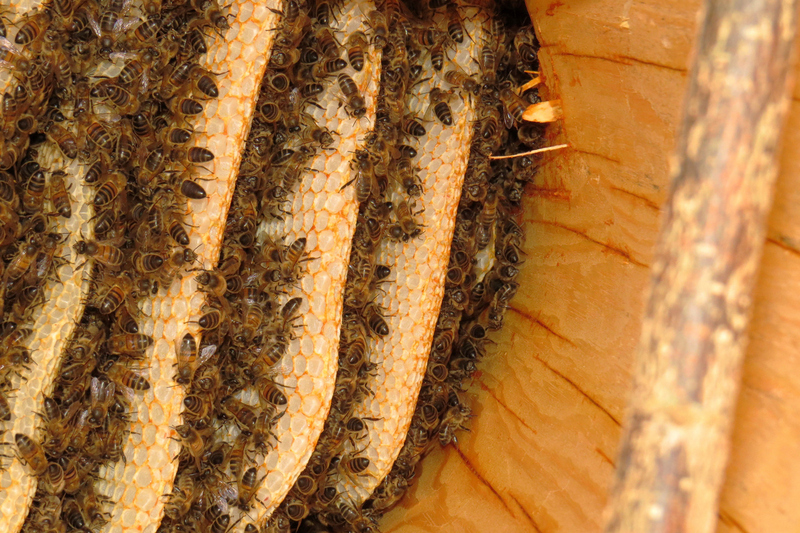 Photo shows how bees have strengthened the edges of the comb with propolis and filled the shakes in the log. My husband and I are in the mind process of making a log hive! I have been trying to research the best way to make one…and have a few questions, if you have the time…. 1. 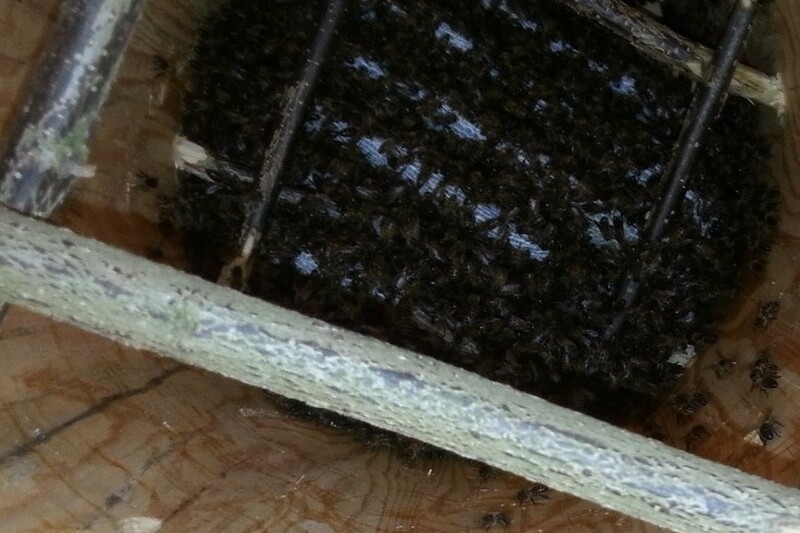 Why do you have sticks inside the hive? Supports? 2. Have you made a log hive with the intention of harvesting honey? If so, how did you harvest?…my thought is to make a “door” of sorts at the bottom of the hive so that we can harvest from the bottom…since bees tend to want to build down. That would leave plenty in the hive for them. Just above that door, I’d like to put in an observation window so that I can see their progress…and if they have reached the point of being harvest ready. 3. 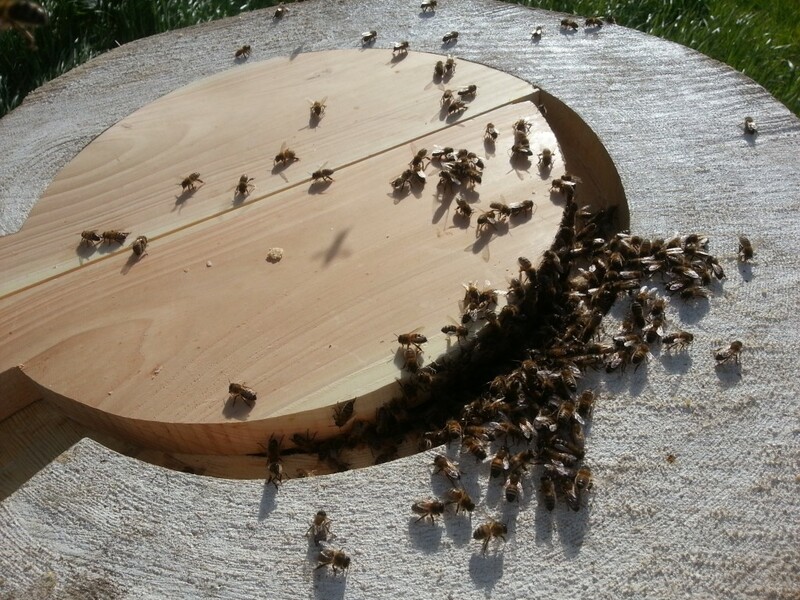 I am planning on putting a quilt box on top of the hive along with a roof. Is there anything specific that you have learned “not to do” in this regard? Thank you, very much for your time! I am excited to venture into log hives!